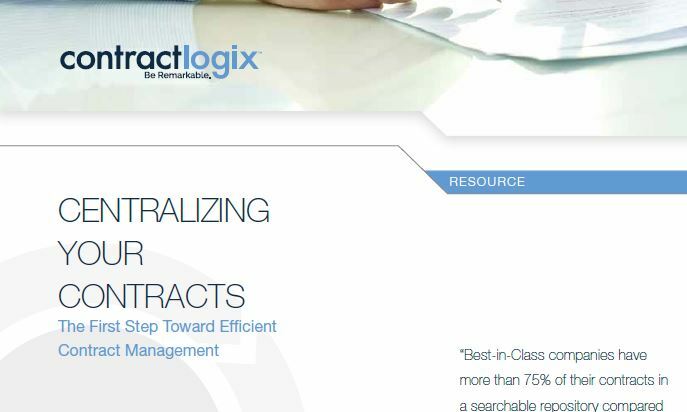 Centralizing Your Contracts – The First Step Toward Efficient Contract Management. Centralization is the foundation of an effective contract management processes. Without it, you’ll forever be searching for the latest versions of your critical agreements; relying on makeshift tools like spreadsheets, shared folders and calendar reminders to stay on top if critical dates and contract terms. This generates compliance issues and risks that could have significant legal and financial repercussions on your organization.